One of Rebecca's clients writes "Rebecca has been our pets vet for the past 5 years. Every time our pets visit Rebecca she seems genuinely happy to see them and our animals therefore feel so comfortable in a place that many animals feel nervous visiting. A very warm and bubbly yet professional veterinarian." Having a vet with wildlife knowledge would be fantastic and Rebecca's wide range of experiences will bring a whole new audience to Bondi Vet. How diverse is your professional experience within the animal kingdom? 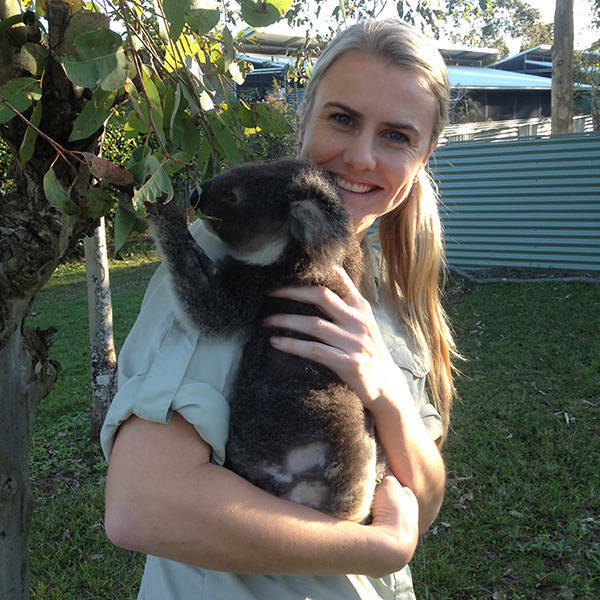 Dr Bec is a WOW - caring for all creatures.... from our family cat to koalas to rhinos! I have worked with Dr Bec at a wildlife hospital for five years. Her bright, bubbly personality and connection with people make her shine on screen. Her experience with both wildlife and domestic animals makes her the perfect all-round Vet, for all creatures great and small! We've seen Dr Bec for a number of years now with our pets. She's extremely passionate about animals and equally compassionate and understanding when it comes to dealing with us as pet owners. I'm a veterinary nurse that had the absolute privilege of working with Bec. She is a delight! Her passion for both domestic and wildlife animals shines through and she is a wonderful teacher to other veterinarians and nurses. She will be an asset to the Bondi Vet Team! Such a genuine caring person with incredible experience and knowledge. Rebecca would make an amazing Boni Vet. Dr Rebecca has always been so kind and caring to my dogs and she teaches me fun information about the wildlife she works with.